"What a brilliant script - I loved this (and I hate football!). Songs are terrific - hand out the tissues before "The World at your Feet" finale." "Go For Goal" tells the true story of the Football World Cup, as related to Oscar, a young, rising Brazilian football star by his father, Lucas and his grandfather, Leonardo. "The World Cup Hall of Fame", featuring famous and infamous moments from many past Football World Cups and told as a song. The show ends in the present day at the "Maracana" stadium in Brazil, where the importance of "facing life's challenges" is explored in the final song... "The World at your Feet"
"Go For Goal" is dynamic, very funny and historically accurate - yes, England really did win the first two Football "World Cups"! 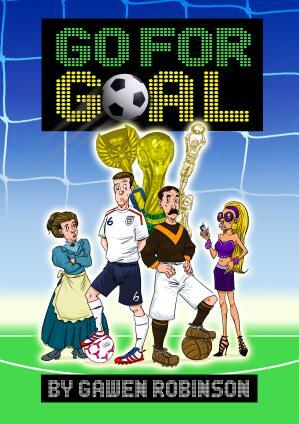 This musical has gone down a storm in pre - publication performances - especially the songs - and is a brilliant way to enthuse your children about the true story of the Football World Cup.